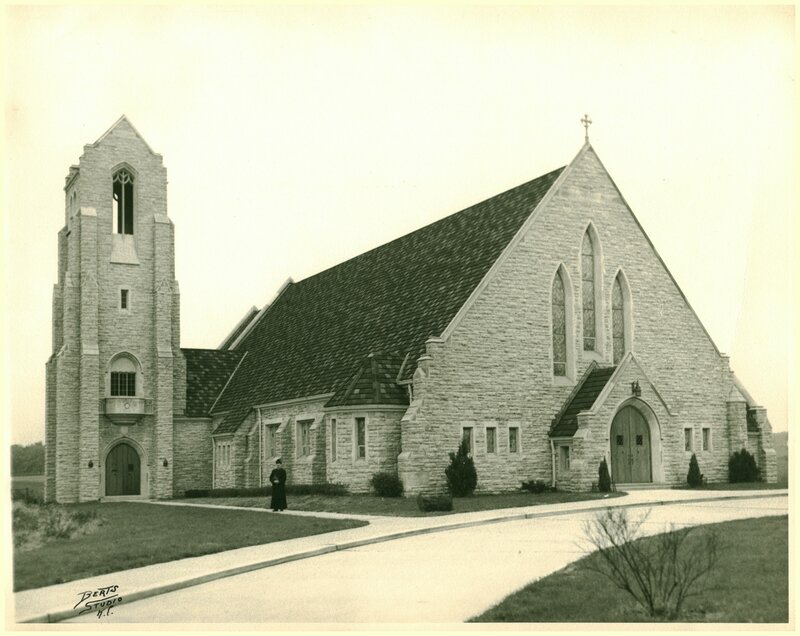 Bishop Ward divided Holy Name Parish and designated the South Rosedale section of Kansas City, Kansas, and surrounding areas in both Wyandotte and Johnson Counties as a new parish. Father James A. Ording was appointed pastor. In 1942, a rapidly growing population of Kansas City, particularly in Johnson County, signaled the need for a larger church and school. Three family members of the parish, Isabelle and Margaret Roe and Ellen Roe Bryant, donated five acres of land at 53rd Street and Mission Road to the parish. The land formed the intersection of three communities – Fairway, Roeland Park and Westwood. Despite delays caused by World War II, the church was solemnly dedicated on Thanksgiving Day, November 25, 1943. The total cost to build and furnish the church was $85,000.